← Ultraman in CardBoard ! above: Sebastian’s awesome plush Eyezons ! Ok quick shameless plug for the art show I’m putting together in Tokyo next week called Kaiju Comrades ! 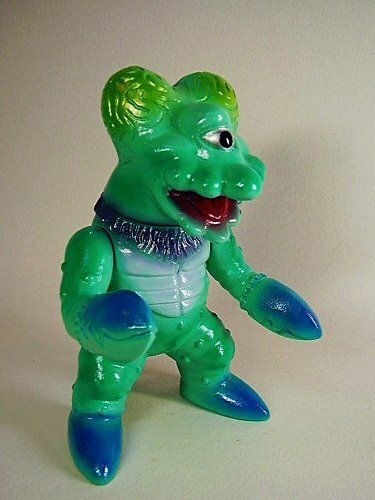 I have not shown all the cool stuff .. for that go to the Kaiju Comrades web site and click under News & Exclusives for a complete listing ! 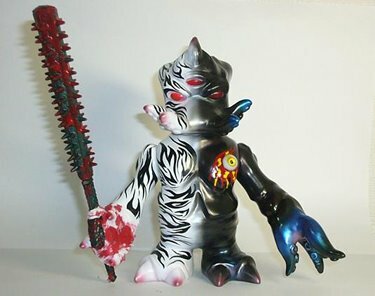 TriPasu custom by Naoki ! 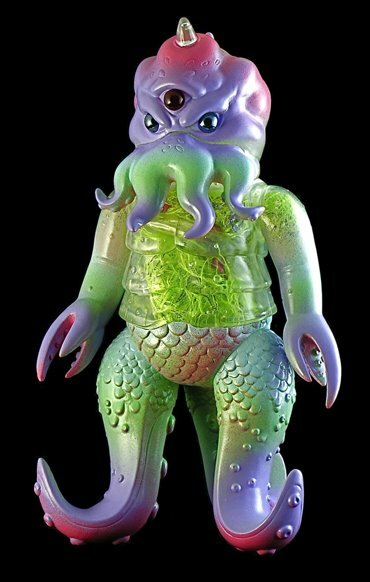 New Xamra figure by Sato-san ! Bob Conge does it again with this Electro Eyezon ! 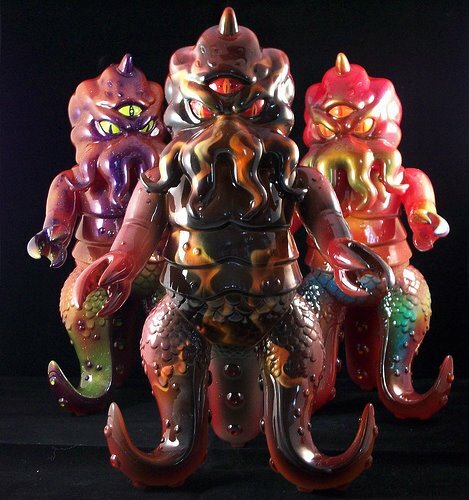 Zakka turns in this most impressive TriPus custom with base ! 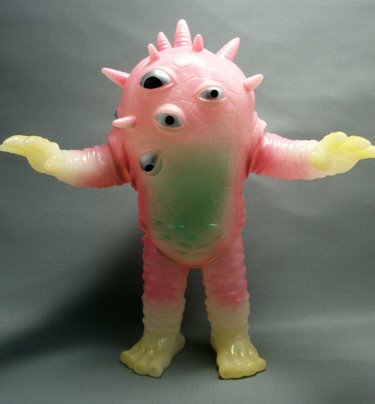 S.Wakahara turns in this awesome Eyezon exclusive, one of two, in fact ! Dead Presidents and these 3 custom TriPus ..simply amazing as always ! and there’s more on the web site ! 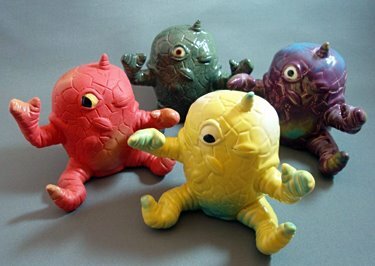 I love these Baby Eyezons .. made of ceramic by MAIRUZU … each one unique ! and who doesn’t know TOUMA ? this incredible TriPus on clear vinyl .. hmm look like someone I know ?!! 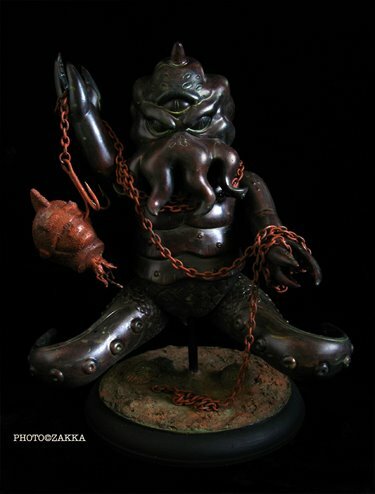 I am leaving out a lot of other pieces and VERY talented artists .. so forgive me if I haven’t post your piece here .. you can see them all on the site.. and what does not sell at the show will be available via the Max Toy Company web site.